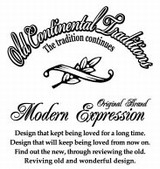 Welcome to Old Continental Traditions website. This brand is the original one ring brand of Japanese origin. 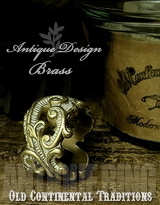 We are proposing accessories with the atmosphere of antiquity. It has proposed new jewelry that do not exist before. Please enjoy the outlook on the world. Therefore, we can send it out to almost all countries. These enable a certain, prompt dealings. In USP, the carriage is large amount of money compared with other delivery means. However, the commodity can be pursued, and it delivers it to you surely. Please give mail to me when there is a commodity wanting it. You are told a detailed amount of money including the carriage. Afterwards, the invoice of Paypal is sent to your mail address when acknowledging it. After payment from you is confirmed, the commodity is sent out. You finish paying and will obtain the ring on around the fifth. The tariff might be generated in the commodity. 5% 〜 6% of commodity price tariff. You must pay to the UPS delivery member when the tariff is generated. 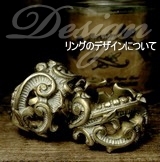 We want the people in various countries to enjoy this ring. The method without the trouble is selected, and dealings make an effort smart to advance. Even if the word doesn't run, accessories are the worlds common to favorite feelings. When our feelings are felt, it is glad. We are contemplating commodity sales in foreign countries. Please teach by all means when there is wonderful accessories shop in your town. These commodities might be sold in your town.